Keep your hand rolled smokes slim with these new Smoking Classic Slim Carbon Filters in a bag of 120 cigarette filters. 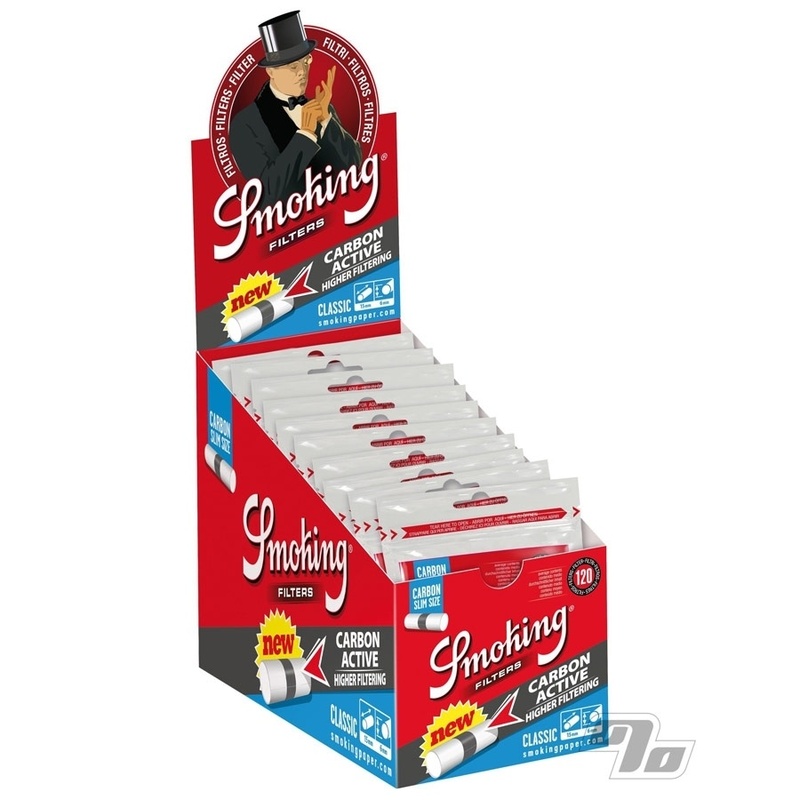 These slim filters from Smoking brand papers come with a bonus bit of activated charcoal in every filter for higher filtering and a smoother taste. All in a handy resealable bag with enough filters for the equivalent of 6 cartons. 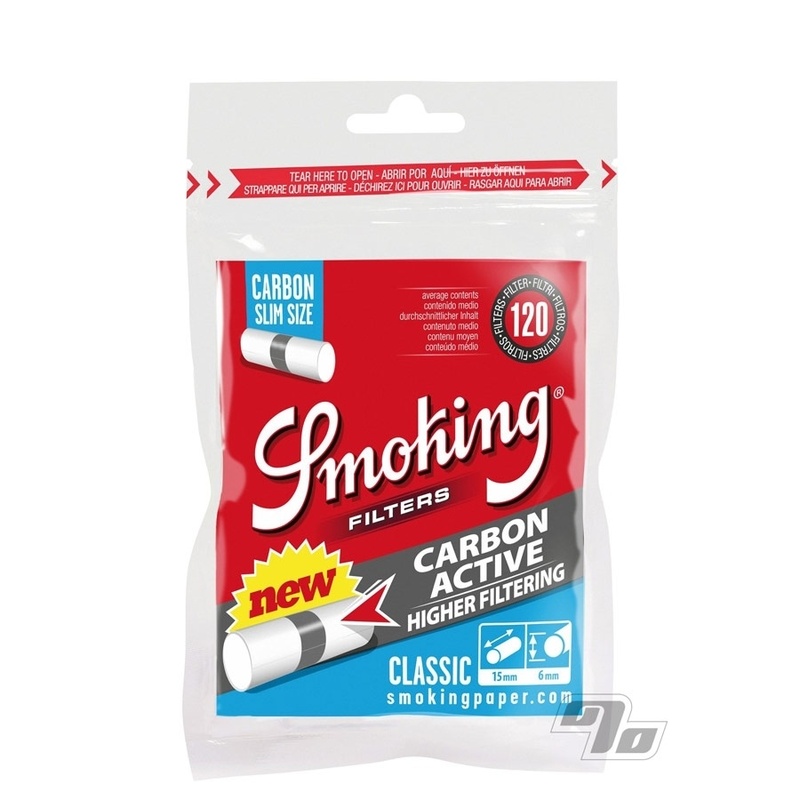 Smoking Classic Slim Carbon Filters are sized 15mm in length and 6mm in diameter, suitable for slimmer roll-ups. The addition of activated carbon inside each filter is a perfect complement to a fine Smoking Master Rolling Paper; enjoy minimal paper in your even tastier smoke.